Rammax invented the trench roller product more than 40 years ago, and benchmarks have always been set to improve efficiencies. Today, Ammann is the only manufacturer to still offer both articulated and skid-steered trench rollers. 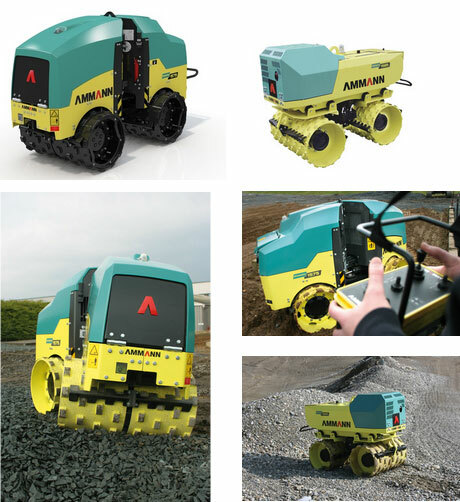 The longevity of the product line and the continuation of the versions prove Ammann’s commitment to this market. Trench rollers, also called multipurpose compactors, perform well in cohesive soil types, such as clays, that can be very difficult to compact. The Rammax 1585 is able to overcome the high moisture content in clays through their extreme compaction energy and the kneading effect of their padfoot drums. The machines perform effectively and quickly on less challenging soils, too.